Rotary Club of Crook County | Celebrating 31 years of service in Prineville! We are neighbors, friends, and community leaders who come together to create positive, lasting change in our communities and around the world. Our members dedicate their time and talent to better communities both locally and globally. The Rotary Club of Crook County is just one of many clubs located around the world in over 200 countries, whose motto is Service Above Self. 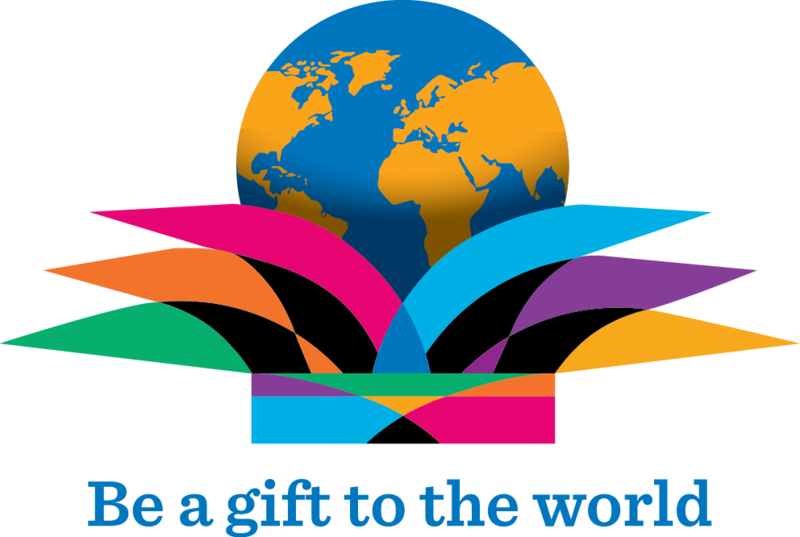 Rotary International was founded in 1905 and our local club was chartered in 1984. Our club is devoted to community service, actively demonstrated through our annual scholarship fundraiser to help Crook County High School graduates in their educational pursuits, as well as our many service projects in the community. 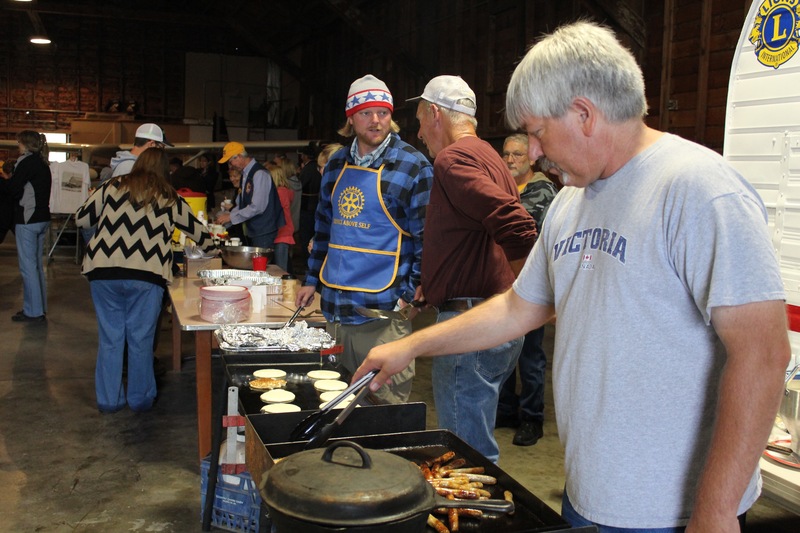 See photos below of local Rotarians in Action. Internationally, we host a Rotary exchange student and/or send a student to another country each year through Rotary International Youth Exchange Program. We support Polio Plus which is Rotary’s program to eradicate polio worldwide. We are getting so close to our goal with a 99 percent reduction in polio cases worldwide since Rotary began this work in 1985! Our dedicated members share a passion for both community service and friendship. We’d love you have you join us…we could accomplish so much more together! Experience the rewards of service above self, by joining the more than 1.2 million Rotarians around the world who believe that when you “Engage Rotary” you “Change Lives”. Our Rotary Club meets every Tuesday at noon at Meadow Lakes Golf Course. Community is important to us. We enjoy working together at events that promote community – making our town a better place and making a difference in the lives of others. Rotarians used a District Matching Grant to help fund a fantastic new addition to the Crook County Park System. Central Oregon Trail Association, led by Darleen Henderson did an amazing job coordinating the funding and construction this new park – and our Rotary Club was one of the prime sponsors. The park features, advanced and intermediate jumps, a pump track, a kiddie strider pump track and a trails skill development trail – all in a little over one acre! Drive by the park and see the kids out testing their skill and having a great time. We are proud of our contribution that helped make this project happen. 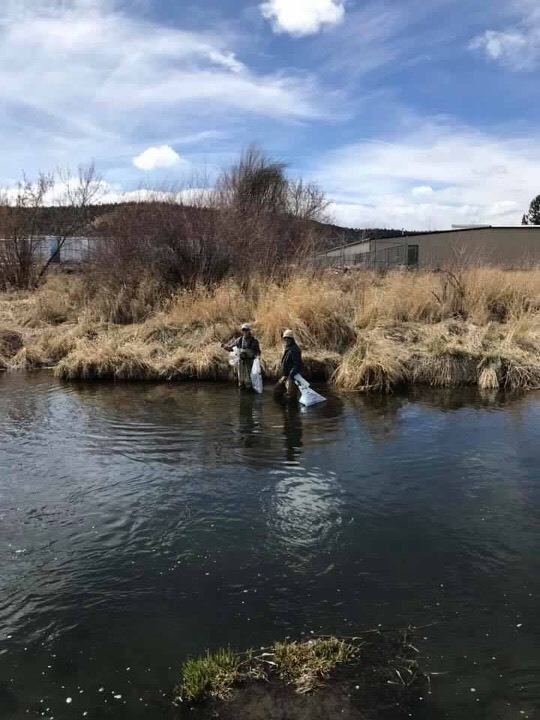 Crook County Rotary adopted a section of Ochoco Creek in 2018. Each year we organize a creek cleanup to remove the trash from in the stream and on the banks. 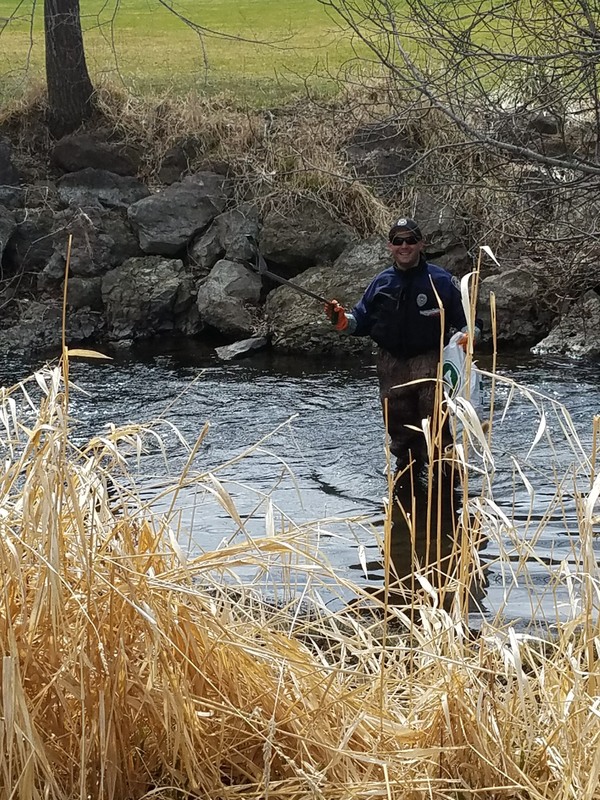 Several volunteers put their hip waders on and spent their Saturday knee deep…. Rotarians rolled up their sleeves to build fence at the new Prineville Bike Park. The District Matching Grant program was used to raise additional funds for the fence. Rotarians pick up shovels and roll up their sleeves to make the Prineville Bike Park become a reality. Rotarians used a District Matching Grant to help fund a fantastic new addition to the Crook County Park System. Central Oregon Trail Association, led by Darleen Henderson did an amazing job coordinating the funding and construction this new park – and our Rotary Club was one of the prime sponsors. 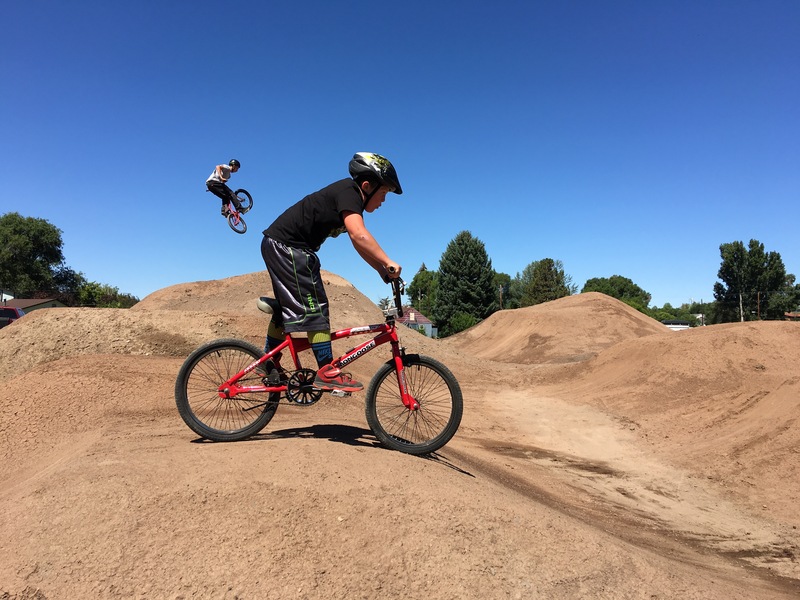 …And the results of the hard work on the Prineville Bike Park…..kids being active, enjoying the fresh air and having a blast! 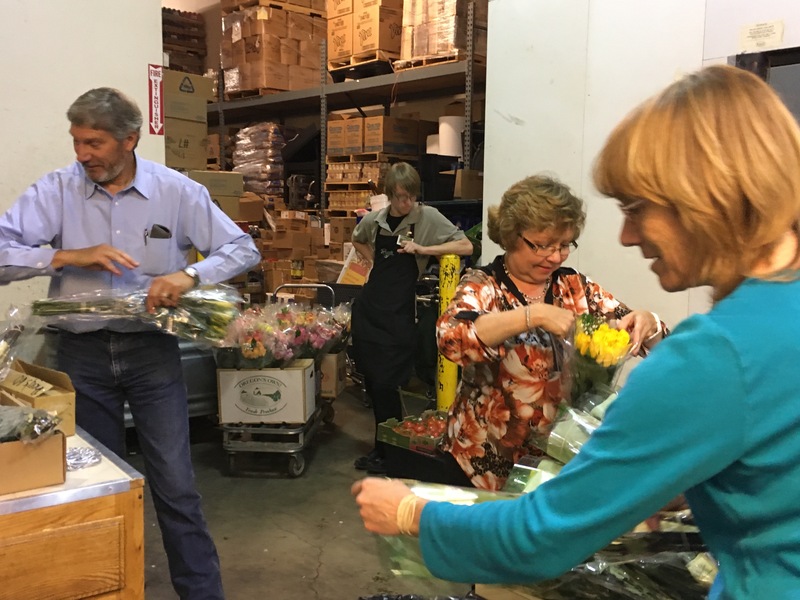 Busy Rotarians assembling roses for the annual Rotary Rose fundraiser. Rotarians help the Lions Club flip cakes during the pancake breakfast at the Prineville/Crook County Airport Father’s Day Fly-in. 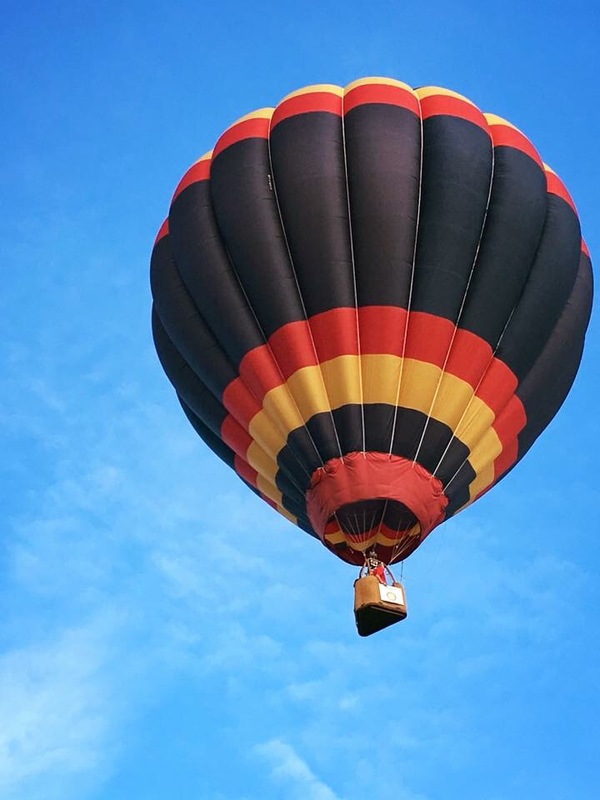 The Rotary Club of Crook County sponsored this beautiful hot air balloon at the 2016 Freedom Aloft Hot Air Balloon Rally.